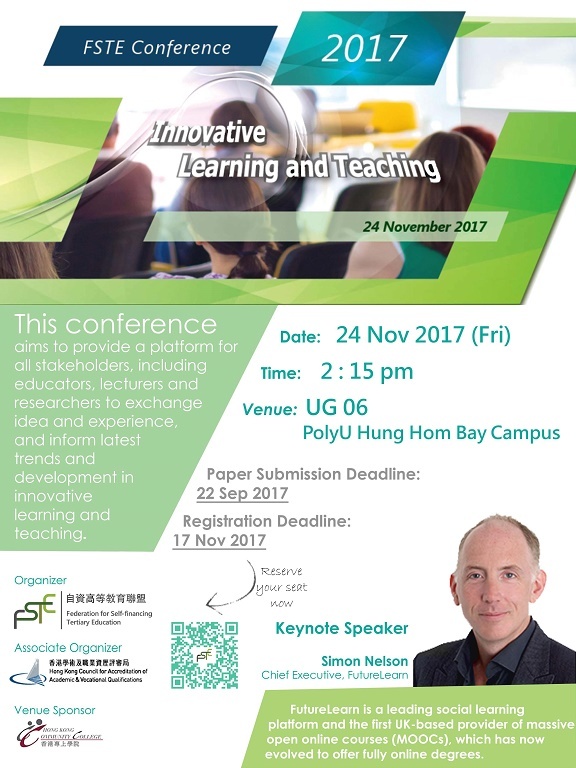 Aiming at providing a platform for all stakeholders to exchange ideas and experiences, and to inform (or be informed of) the latest trends and development in learning and teaching, FSTE Conference 2017: Innovative Learning and Teaching was held on 24 November 2017. While traditional teaching methodology cannot be replaced, we believe innovative teaching is a proactive approach to integrate new teaching strategies and methods into classroom. This has also been a worldwide trend conducive to effective learning. FSTE was honored to have Mr Simon Nelson, Chief Executive of FutureLearn – the leading social learning platform and the first UK-based MOOCs (massive open online courses) provider, to deliver a keynote speech in sharing with us his views on The Digital Transformation of Higher Education. 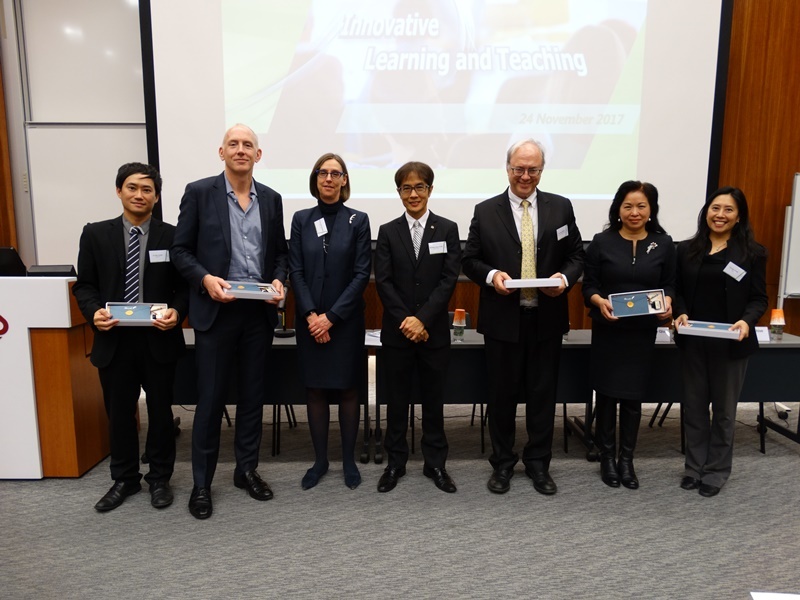 We would also like to thank speakers Dr Glenn Shive from Hong Kong-America Center, Prof Hanqin Qiu from PolyU, Dr Ben Chan from HKUST and Dr Julie Chen from HKU for joining the Discussion Forum, as well as HKCAAVQ being our Associate Organizer and Hong Kong Community College for sponsoring the venue.